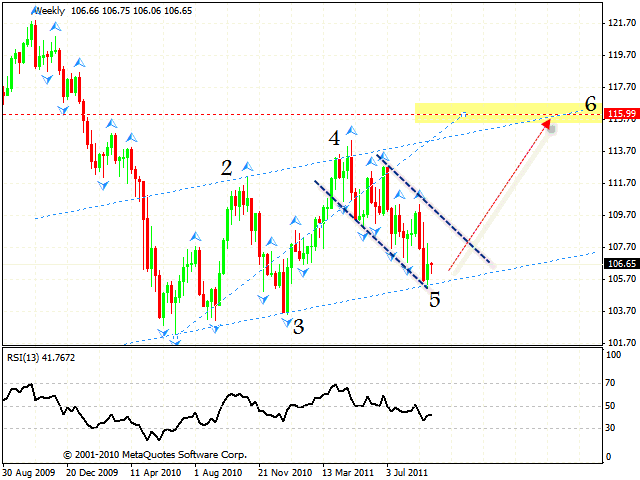 The EUR/USD currency pair has left the descending channel. At the moment the price is testing the area where you can buy Euro. 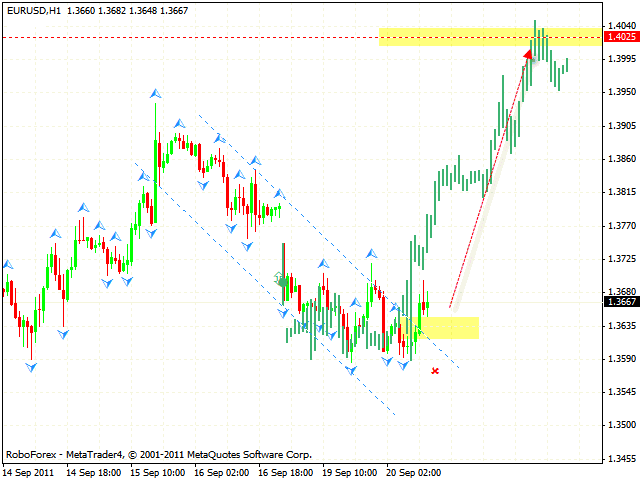 One can try to buy the pair with the tight stop below 1.3580. The closest target of the growth is the area of 1.4025. 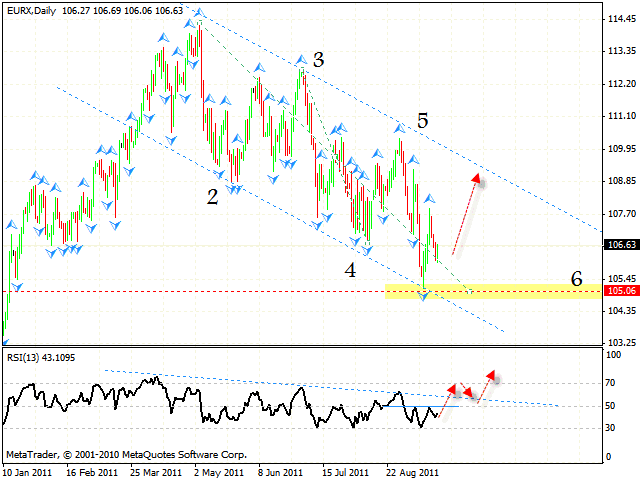 Analysis of the weekly chart of Euro Index also indicates a possible formation of the rising pattern. We should expect Index to grow with the target in the area of 116.00. Currently the price is testing the channel’s lower border, we should expect it to rebound from the border. But if the price breaks the lower border, this case scenario will be cancelled. At the daily chart the price has reached all targets of the descending pattern at the level of 105.06. 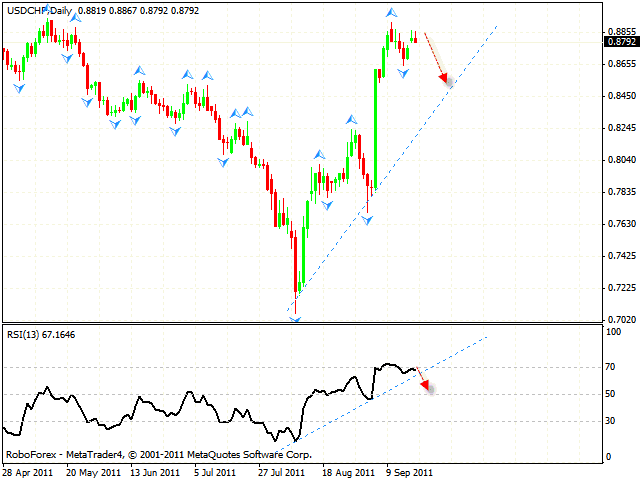 Here we also have “head & shoulders” reversal pattern forming at the RSI. If the price breaks the trend’s descending line, we should expect it to test the area of 108.85. But if the indicator falls lower than 30, this case scenario will be cancelled. 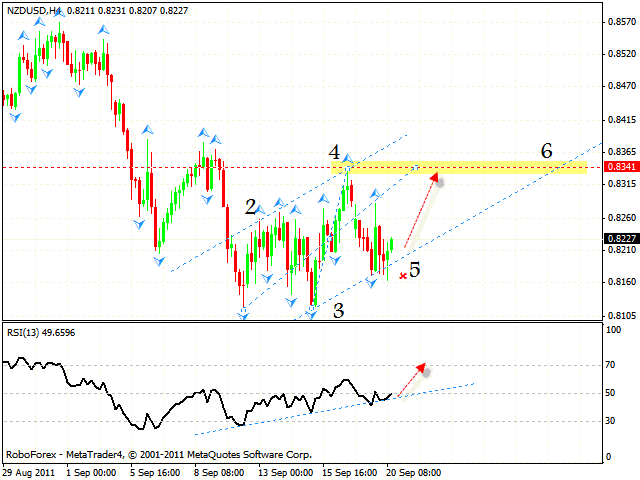 If the price breaks the trend’s rising line at the RSI, we should expect Franc to fall down into the area of 0.8450. One can try aggressive sales of the pair with the stop above 0.8855. We recommend you to increase the amount of short positions only after the price breaks the support level in the area of 0.8655. At the H4 chart of the NZD/USD currency pair we can see the formation of the rising symmetrical pattern with the target in the area of 0.8341. The price is testing the channel’s lower border, where one can try to buy the pair with the tight stop. The price testing the trend’s rising line at the КЫШis an additional signal to buy the pair. But if the pair falls lower than 0.8160, this case scenario will be cancelled.